When we buy a dog, color of the coat is one of appeals. Maltipoo as a cross breed between a Poodle and Maltese will have influence on the coat from its parents. Because Maltese is a pure white dog, so the Poodle will bring color in the coat of Maltipoo. The white will wash out some colouring with the majority of Maltipoos, but it still gives us an exceptional rainbow of possible coat colors. Even you can find a Maltipoo with a strong color like red or black. 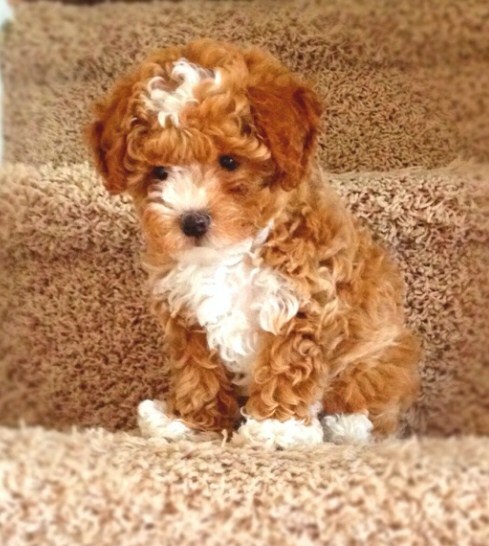 Wait, red Maltipoo? Yes, and perhaps it makes you want to have it and then you decide to look for red Maltipoo puppies for sale. Maltipoo can have a solid or parti-coat colors like apricot, blue, black, brown, cream, silver, red, white, and silver beige. 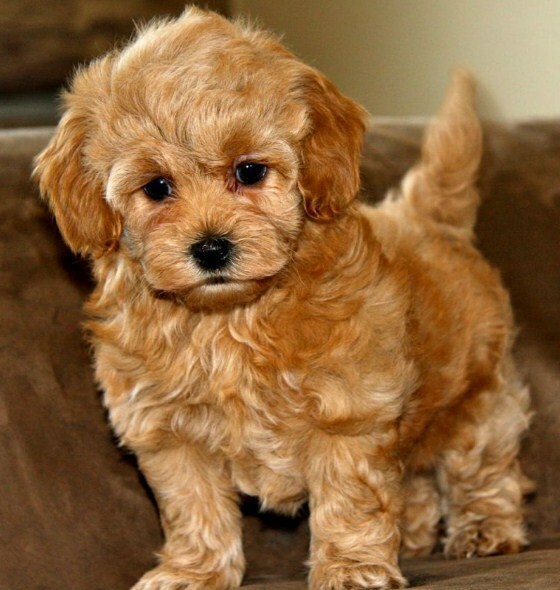 But now, we are going to focus on talking about red Maltipoo. 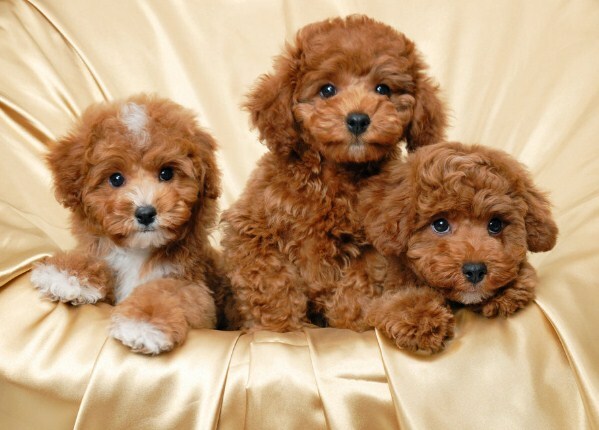 Red Maltipoo is a very rare color because most Maltipoos when bred 50/50 will be of a light shade. Even, this color is rare for the Poodle and only became an official AKC color for the breed in 1980. When the dogs are bred, black Maltipoo and red Maltipoo are the most difficult colors to get. Because the Maltese is a pure white dog, the genes will affect the coloring of the puppies. Meanwhile, Poodle comes in a variety of colors. In the process of breeding, one of the colors will be influenced by the white gene. So, a brown will generally be faded and the puppy will be light tan. Being 50% Maltese, a red Maltipoo will almost never be a solid red. However, if you are a breeder and you want to get a red Maltipoo,an apricot coat shines with deeper, darker shades of red areas will make it a red Maltipoo. Well , this description perhaps makes you obsessed to see and even buy a red Maltipoo. Then, you can look for red Maltipoo for sale. When you buy a red Maltipoo, do not be fooled by labeling. A irresponsible breeders will write down any color that they want on a pup’s papers. So, you will discover many apricot, tan and even cream Maltipoos that are labeled as red Maltipoos. You have to note that this is false advertising. We cannot guarantee the color of adult canine because puppy do not change fast to warrant a misrepresentation in this regard. Because the breed is not recognized yet by the AKC, people make up names like Apple Dumping Red or Strawberry and it does not mean a thing whether the pup is not truly red. If you have Maltipoo puppy that comes up to be red when he is young, he may hold the color however be prepared for the coat to fade and change when the coat falls out and is replaced by his adult coat. If you can really get a red Maltipoo from red Maltipoo breeders, you can give him one of these most popular names: Ruskin, Ridley, Cherry, Burgundy, Auburn, Chili, Lucy, Merlot, Rose, Ruby, Scarlet, or Arizona. When you buy a red Maltipoo puppy, make sure that you come to a right breeder.